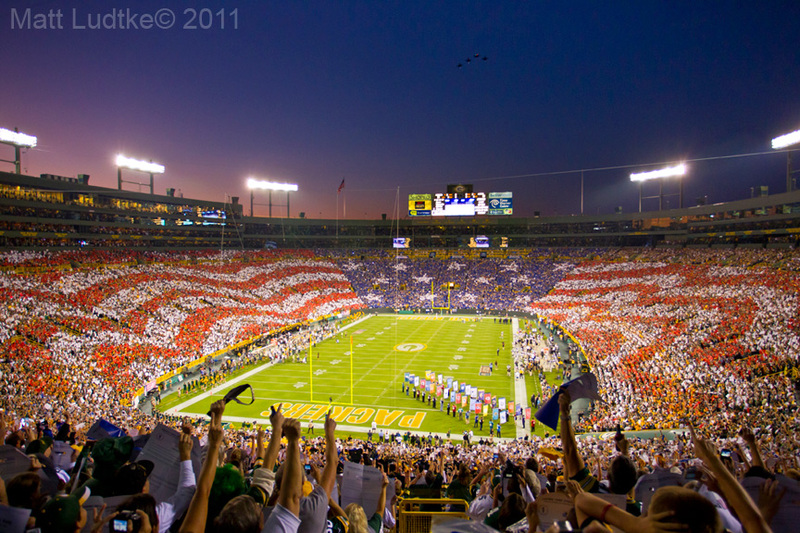 I just wanted to post a quick shot of Lambeau Field from last nights NFL home opener between the Packers and the Saints. I was at the game last night but didn’t shoot game action like I usually do. Last night I shot an assignment for the Milwaukee Business Journal about the business side of an NFL football game. I will post those photos soon, but for now I give you Lambeau on opening night. This entry was posted in Uncategorized on September 9, 2011 by ludtkephoto. 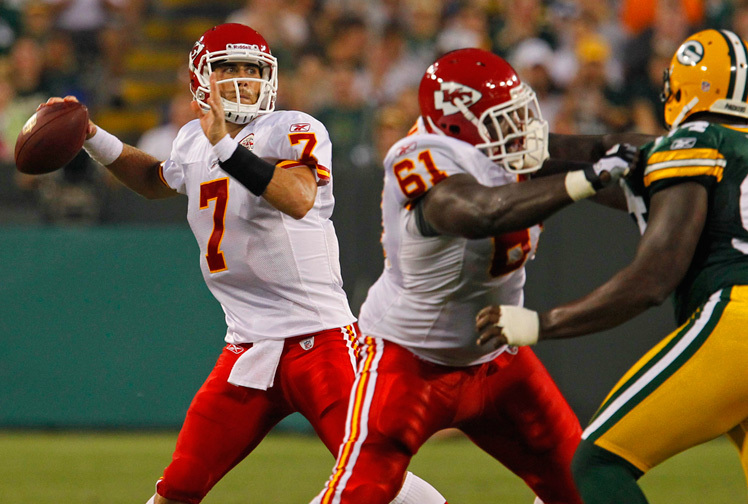 Last Thursday the Packers wrapped up their pre-season with a win against the Kansas City Chiefs. Now its time to get to the games that count. I hope this coming regular season is as good as last years was. Here are the photos. Thanks for looking. 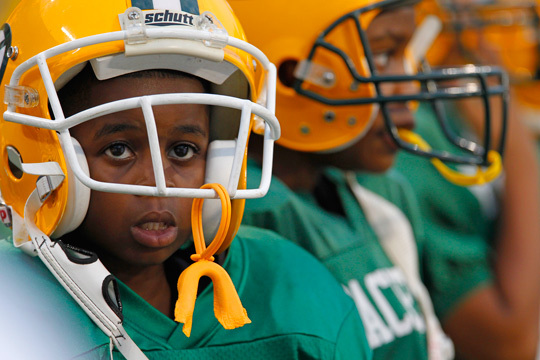 Pop Warner players took to the field prior to the game. 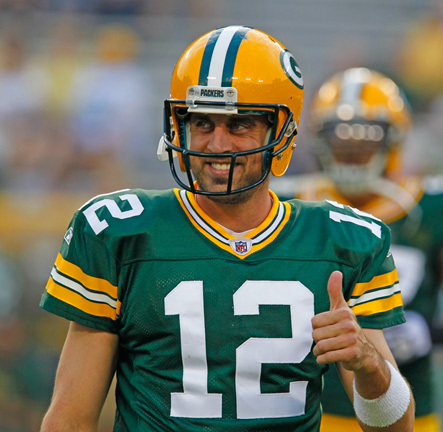 Green Bay Packers quarterback Aaron Rodgers gives a thumbs up to fans. 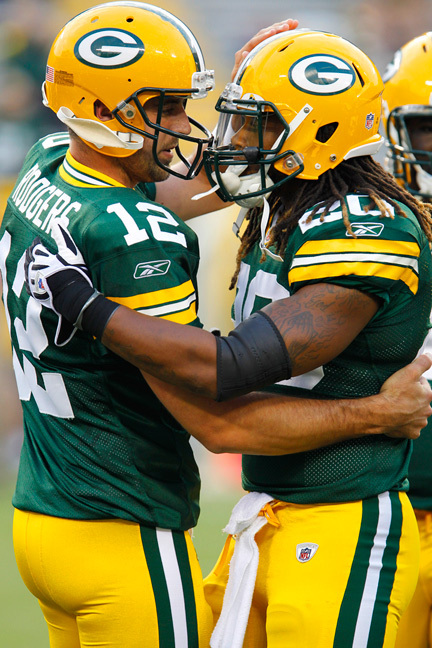 Green Bay Packers quarterback Aaron Rodgers and running back Alex Green greet each other on the field. Green Bay Packers wide receiver Tori Gurley gets hit by Kansas City Chiefs defensive back Brandon Flowers and defensive back Eric Berry. 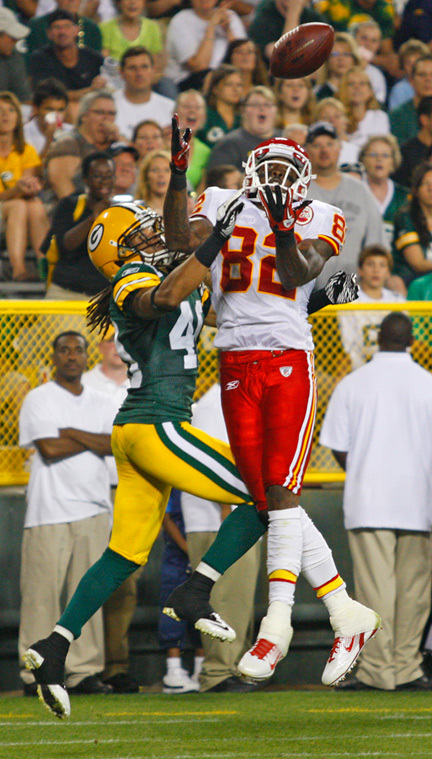 Kansas City Chiefs wide receiver Dwayne Bowe attempts to make a catch while being covered by Green Bay Packers defensive back Josh Gordy. 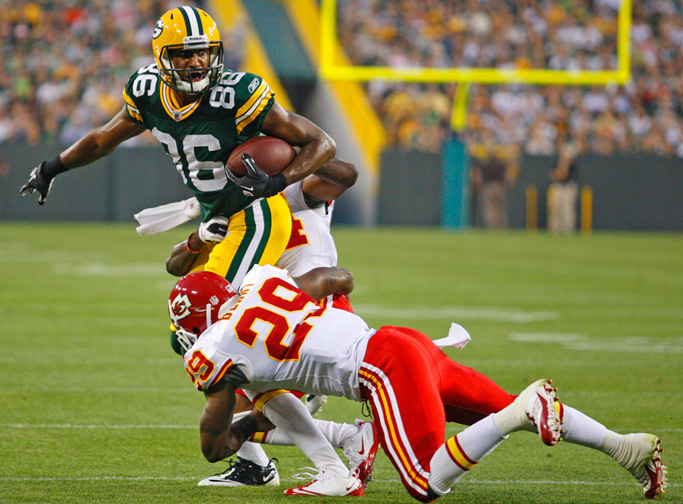 Green Bay Packers defensive back Pat Lee runs past Kansas City Chiefs quarterback Tyler Palko and wide receiver Dwayne Bowe. 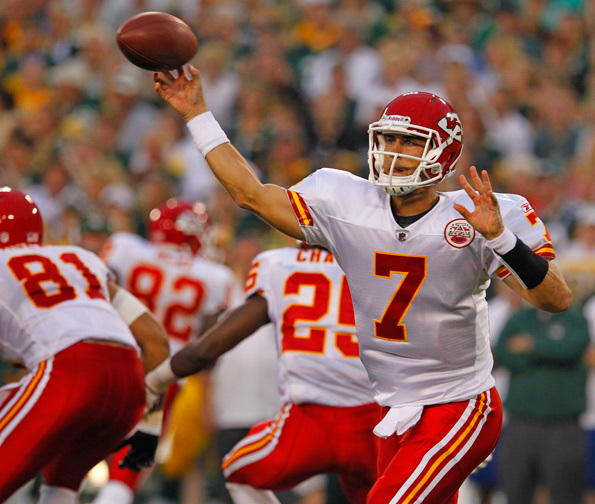 Kansas City Chiefs quarterback Matt Cassel. 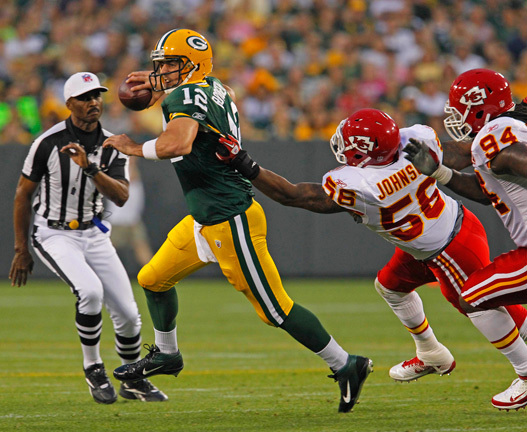 Green Bay Packers quarterback Aaron Rodgers is chased during a play by Kansas City Chiefs linebacker Derrick Johnson (56) and defensive end Tyson Jackson (94). 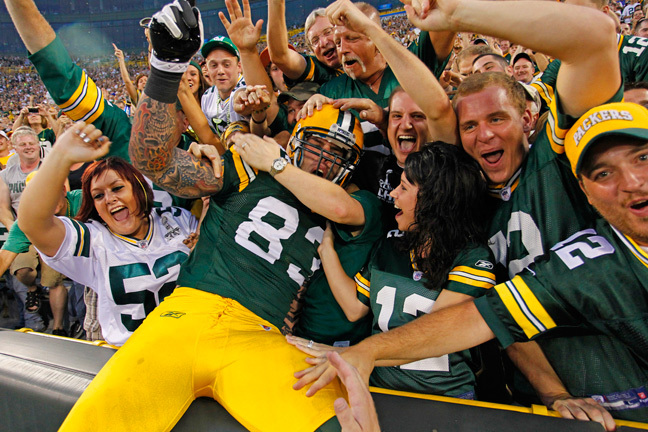 Green Bay Packers tight end Tom Crabtree celebrates scoring a touchdown against the Kansas City Chiefs. 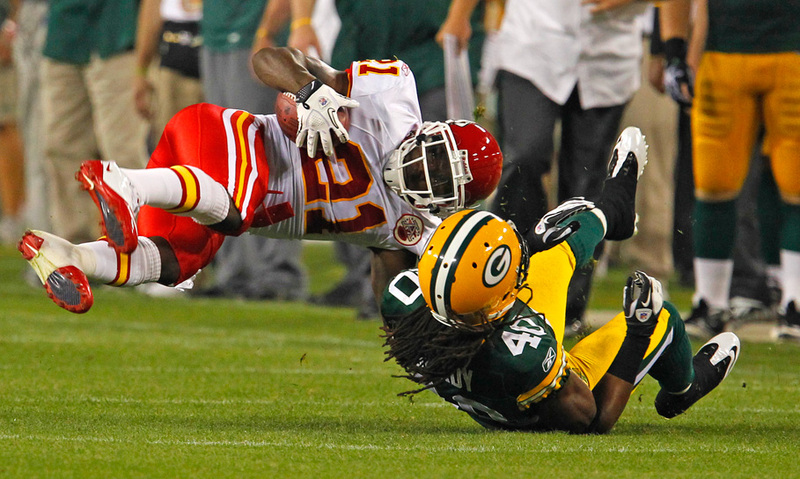 Green Bay Packers defensive back Josh Gordy hits Kansas City Chiefs defensive back Javier Arenas. Green Bay Packers tight end D.J. 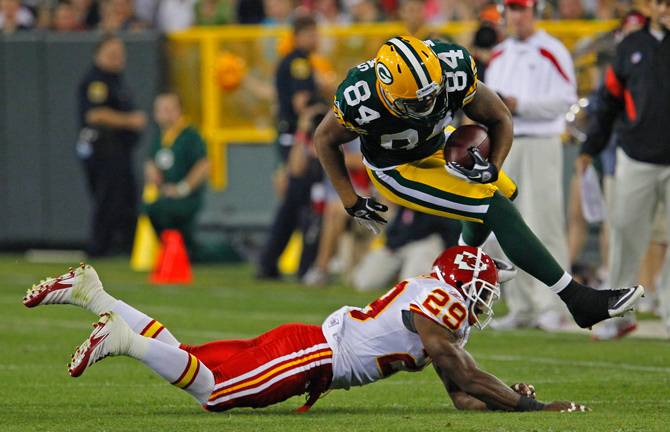 Williams jumps over Kansas City Chiefs defensive back Eric Berry. 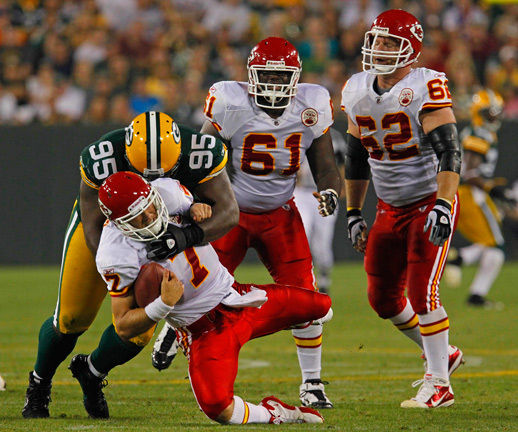 Green Bay Packers defensive tackle Howard Green sacks Kansas City Chiefs quarterback Matt Cassel while center Rodney Hudson (61) and center Casey Wiegmann (62) watch. 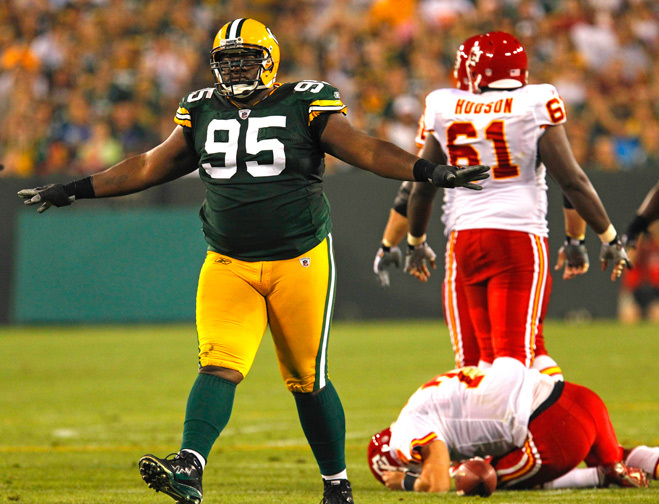 Green Bay Packers defensive tackle Howard Green celebrates after sacking Kansas City Chiefs quarterback Matt Cassel. 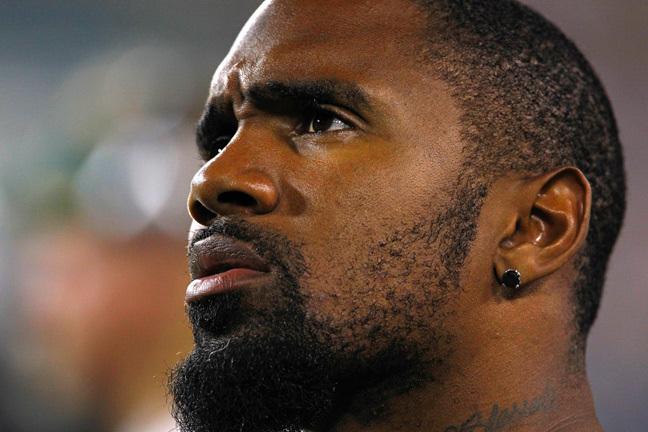 Green Bay Packers defensive back Charles Woodson. 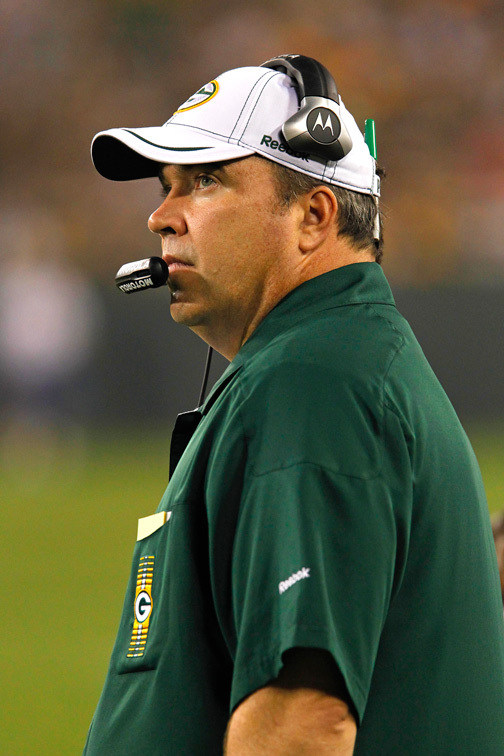 Green Bay Packers head coach Mike McCarthy. 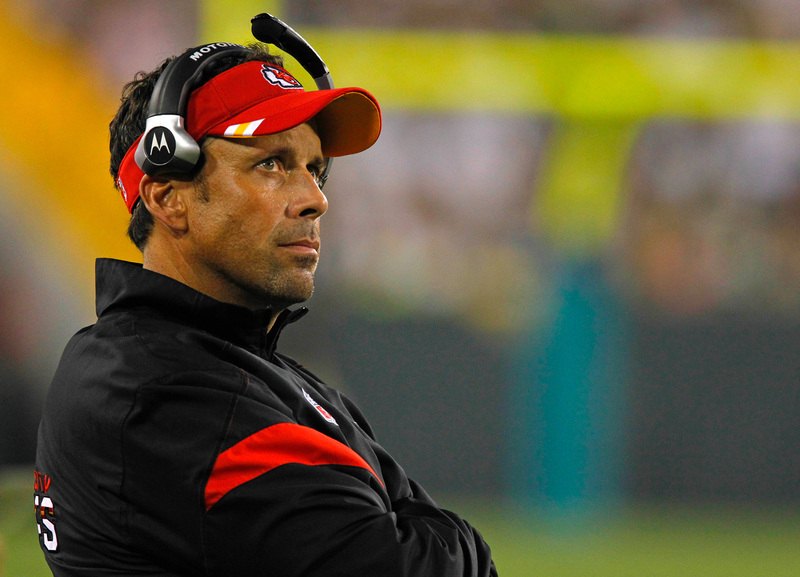 Kansas City Chiefs head coach Todd Haley. This entry was posted in Uncategorized on September 7, 2011 by ludtkephoto.